The latest news comes from Motorola. As reported by The Verge, Motorola is said to have announced a snack Z Play smartphone latest, the Moto Z3 Play. Immediately we see the specifications, Moto Z3 Play written packed with AMOLED screen 6.01 inch Full HD and supported with a Snapdragon 636 processor, 4GB RAM, and 32GB of internal memory. Still from the specifications, for the purposes of user photography, Moto Z3 Play equipped dual-camera rear yagn consisting of 12 MP sensor and 5 MP (depth sensor). In the power supply sector, this smartphone is powered by a 3000 mAh battery. In terms of design, as seen Z3 Play seems to adopt the same design pattern as its predecessor, which combines the glass panel on the front and rear panel and aluminum side. 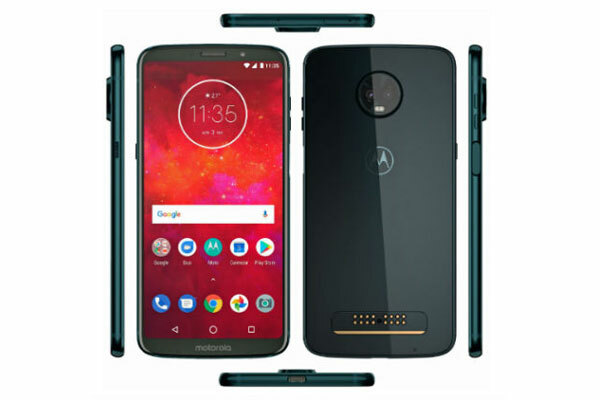 Moto Z3 Play re-adopted the concept of modular system 'MotoMod'. This smartphone is priced at 499 USD, and will come with an extra battery. 0 Response to "Motorola Officially Announce Moto Z3 Play"